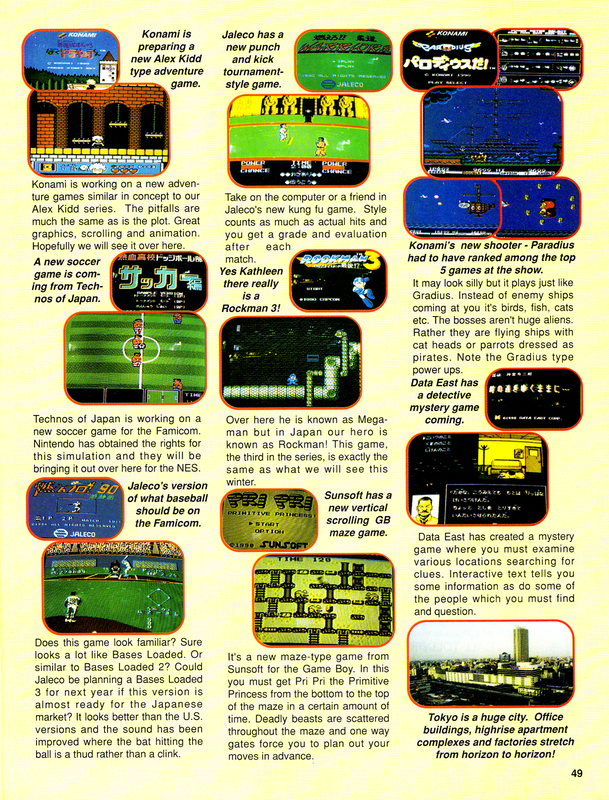 The 2018 Tokyo Game Show is happening right now but 28 years ago it didn't exist as the first one was held in 1996. 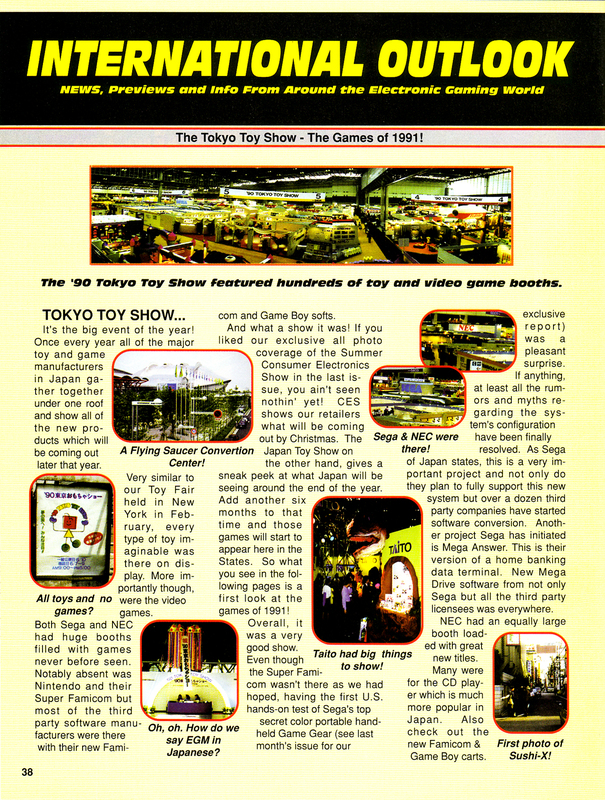 Instead, video games appeared at the Tokyo Toy Show, much like how in the U.S. games were on display at the Consumer Electronics Show before E3 kicked off in 1995. 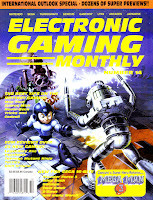 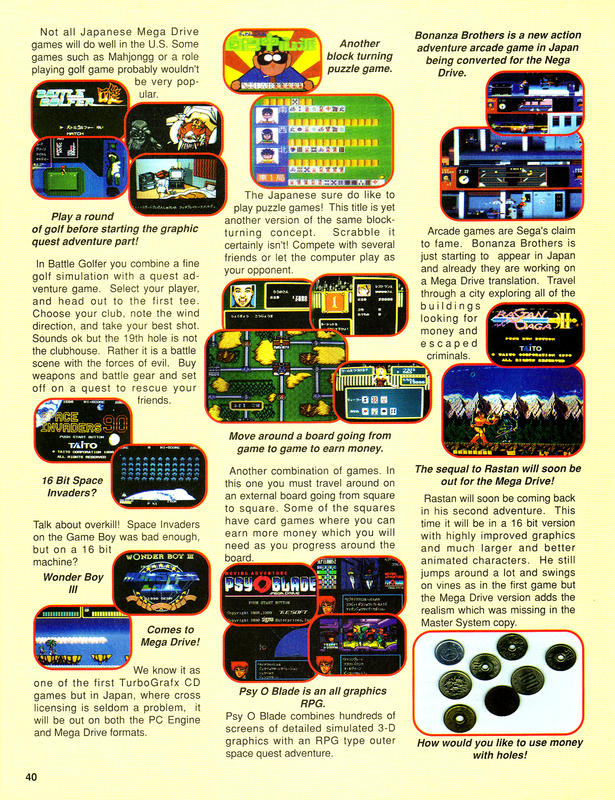 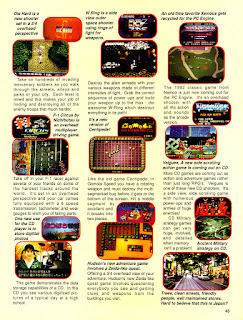 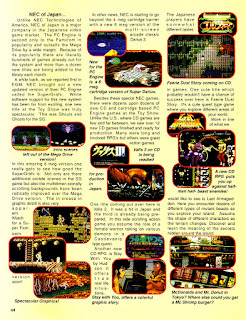 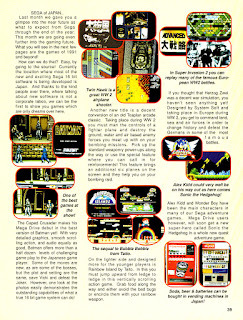 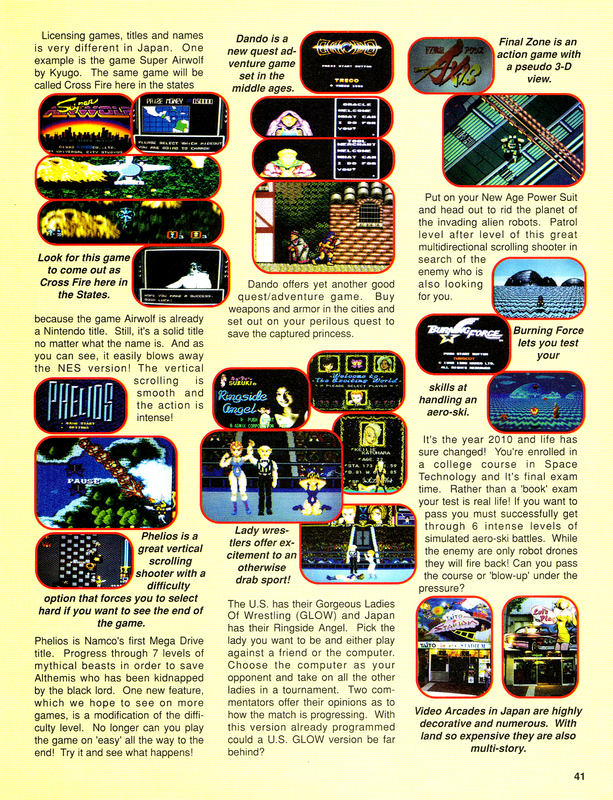 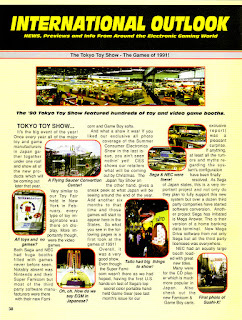 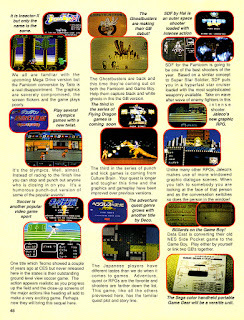 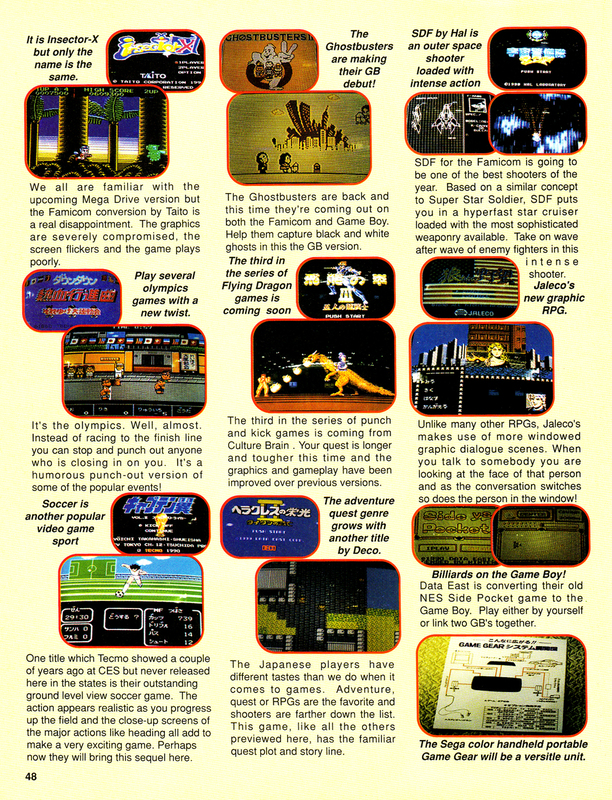 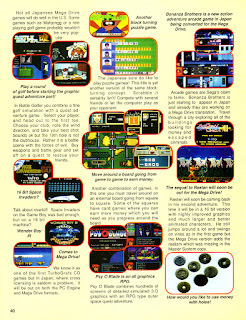 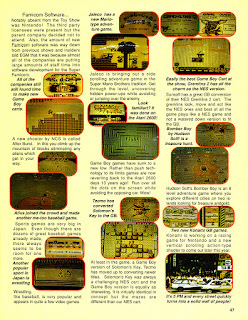 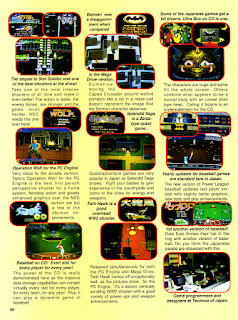 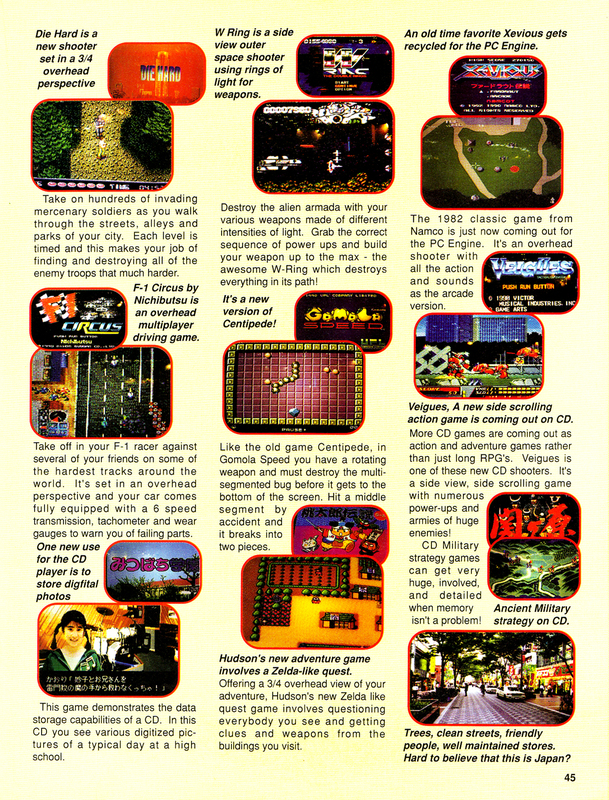 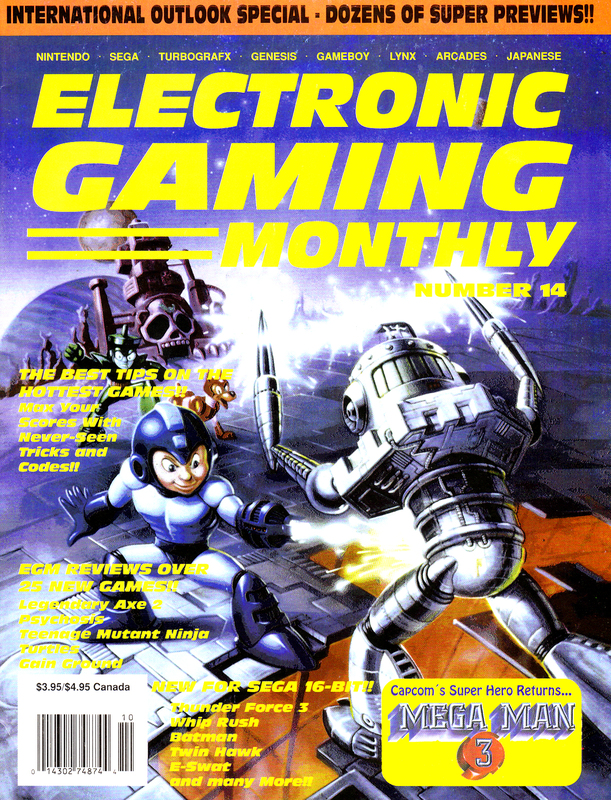 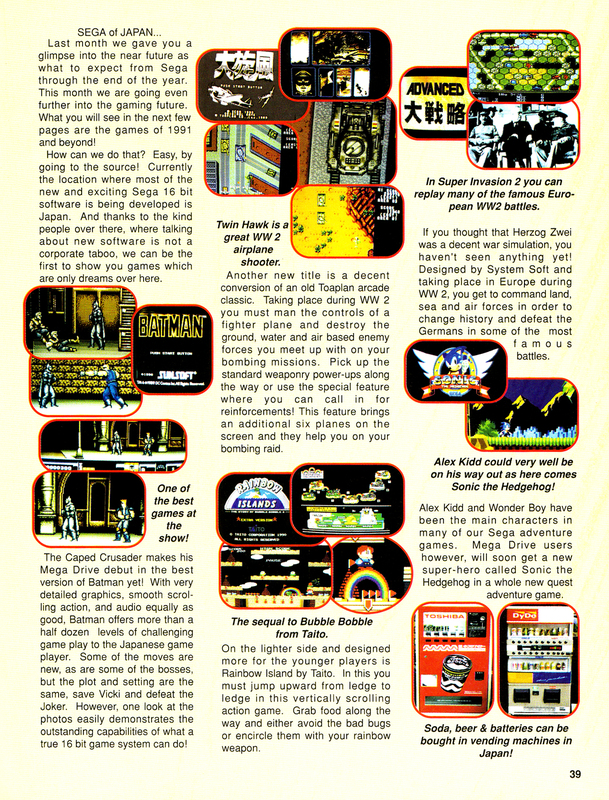 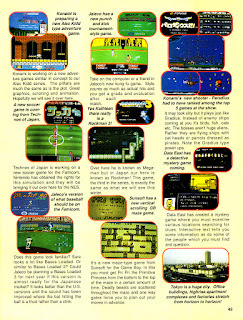 Below are 10 pages scanned from Electronic Gaming Monthly's coverage of the 1990 Tokyo Toy Show that appears in issue #14. They did squeeze in a few tiny photos from Japan but not much is said or shown of the show floor. Also, Nintendo skipped the show so Sega and NEC are the highlight, though there are some third-party games for Nintendo platforms.